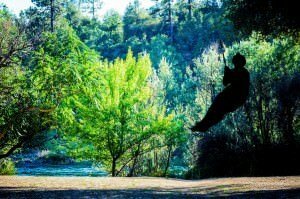 Our camp is located on the side of the South Fork of the American River in the small town of Lotus, right next door to Coloma California where James Marshall found gold at Sutter’s Mill back in 1848. We are about an hour East of Sacramento and an hour West of South Lake Tahoe. Although we have hot showers and flushing toilets, our camp is rustic. We eat, sleep, and play outdoors and wouldn’t have it any other way. 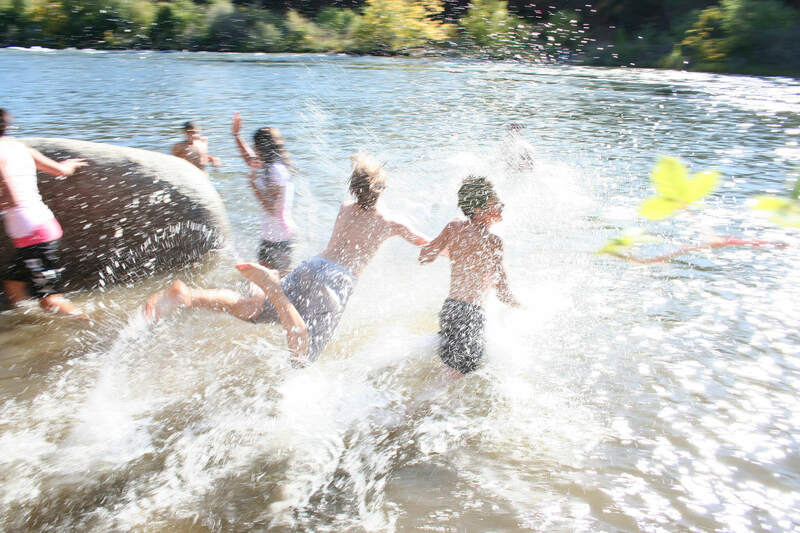 The main meeting location for our whitewater rafting adventures is at our river camp on the side of the South Fork American River. Our rustic camp is best suited for traditional tent camping or sleeping out underneath the stars. However, we do have some modern conveniences. Plenty of beautiful camping spaces for you to set up your tent/tarp. Campfire Rings with Firewood – For safety our staff will oversee the lighting and maintenance of lit campfires. RV/Trailer Hookups – We do have some room to park a very limited number of large vehicles. But we have no hookups, and it’s a little bit of a walk to the bathrooms from where you can park an RV. So please contact us if you are hoping to bring an RV or a Trailer. Cell Phone Coverage – While Verizon and Sprint subscribers can usually get a signal, in order to maintain the setting at camp, we ask that you limit all cell phone conversations to the parking lot areas. Public Electricity – We do have electricity, but it’s not widely available around camp, so please leave your unneeded electronic devices at home where they can remain fully charged. If you have a medical device that requires electricity, please let us know in advance so we can ensure you are camping within reach of an outlet. Public Internet – Please talk with out staff if you have an urgent matter that comes up requiring internet access while you are at camp. 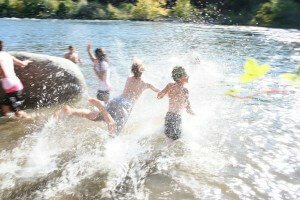 If you’d like a peak at what our camp looks like, fellow campers have posted many photos of camp on Google. If you would like to adventure with Rock-N-Water, but want to spend the night elsewhere, here are some suggested local accommodations.